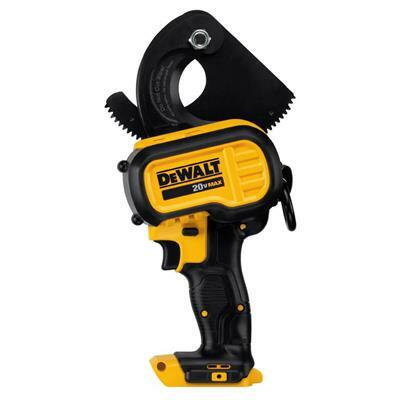 The DEWALT DCE150B 20v MAX* Cordless Cable Cutting Tool (Bare) is able to cut up to 750 MCM copper and 1000 MCM aluminum cable. It features a bright LED light to illuminate cutting surface. This cutting tool has an easy replaceable cutting blade, along with easily accessible forward / reverse. It also has a padded shoulder strap with connection ring.